Below you will find a ranking and price comparison of almost all yachts available in Croatia for charter. It is one of the most popular regions for boat rental in Europe due to its long coastline, great number of islands, bays, anchorages and marinas, but also because of the hot Mediterranean climate, easy access from most countries in Europe and quite reasonable prices as well for sailboats, but also for marinas, food and general accommodation. Monohulls (sloop or ketch) for whose main power comes from sails. Of course those ships have also inboard engine, which is a support when maneuvering in marinas or bays on Croatian waters. They are the most popular boats chartered at Adriatic Sea and thus there is the biggest number of them. We call this service of borrowing also: “accommodation on board”, because according to the Croatian law, chartering is categorized as accommodation services and thus put in the same category as other accommodation possibilities, such as apartments, hotels and summer houses. It is the most popular destination in the whole Europe for all sailors who plan chartering yachts. What is interested, not only Central and Northern Europe vastly uses those chartering services, but it is also very popular destination for Italians, who has great sailing infrastructure in their own country. In Dalmatia you will find more than a hundred marinas where you can safely leave your chartered boat. Most of them are equipped with showers, toilettes, water and electricity on spot. Croats are very friendly people, eager to help sailors and all the people that want to take a vessel for a bareboat rental. In our ranking you will find cheap units which charter is much below 1000 EUR per week, but also very nicely equipped monohulls, like Megayachts or Superyachts, which you can hire to have the unforgettable boating experience during your holidays. This is official site (službena web stranica, www, website, offizielle webseite, sito ufficiale, home page, site officiel, posjeti stranicu) in our portal for Croatia. Is the yacht charter Croatia already on the European level? For sure yes and we would dare to say it became a leading country in terms of service, maintenance, width of the offer and price comparison. Many foreign sailors come back to Republic of Croatia again during the following years and take more and more out of our fleet. 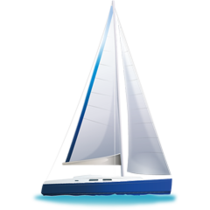 Popular brands are: Bavaria, Sun Odyssey, Oceanis, Dufour, Elan, Cyclades, recently also Hanse. You can choose here between bareboat and crewed charters and for sure the above reasons are enough to at least once choose this country called in their language Hrvatska! How to borrow a sailboat? Choice of yachts in this Mediterranean country is really, really great, that is why sailors more and more require really properly prepared offer. Hundrets of pleasure boats, catamarans and motorboats, which offers changes every day, must be ordered and presented so clearly to the clients, so that they can really make a good choice when they take yacht charter in Croatia. What is interested, everybody has its own criteria, so each offer must be really personalized and match all those criterias. These criterias are: period, number of cabins, number of berths and heads. Also very important for services is the age of the vessel. It can be very clearly explained: ships, which are in chartered since many years, and accommodated already hundreds of crews, will always have bigger risk of potential damages then those, which are almost new. It is very important to emphasise 2 thing: all units, no matter how old they are, are always in proper condition during the check-in, so everything is fine and well-prepared. But still, vessels which are older, like gullets have greater possibility to have some failures. This is why the year of build plays an important role for sailors and skippers, that are looking for an offer in this former Yugoslavia. The next criteria is the inventory onboard. Almost 90% of the yachts in Croatia (Kroatien) are equipped with GPS, but there having a GPS-plotter is an crucial equipment item, that is why we put it in the left menu, so that you can search only among those offers, that have this coloured screen with navigation position on the map of Hrvatska. Which other search criteria are important for the Charterers? Very important plays here the furling mainsail, which is a really comfortable item on a boat, because there is only 1 person required to set the sails. When there are skippers, who sail with their family or skippers, who take a sailboat with many beginners, it is very safe solution, because in case of stronger wind, skipper himself is able to roll the mainsail to half and reduce the area of the sails. On the inventory list of the rented boats we always put also the furling genoa, but we do not put it in search criteria, because again almost 100% of vessels have rolling front sail. In our advanced search machine we also give you the possibility to search for offers only for the specific yacht models, because we know there are many fans of brand Bavaria, especially Bavaria 40 Cruiser, Bavaria Cruiser 46 or the biggest Bavaria 55 Cruiser, which became a flagship of Bavaria GmBH. We also quite often hear from our clients, that they look only for the French crafts, so for such client we have models like Sun Odyssey 54 DS, Sun Odyssey 39i and or all available Oceanis, from Oceanis 38 by Oceanis 40 to Oceanis 46 Family. For those of you, who love catamarans, we have in our offer such units as Lagoon 440 and its bigger brother Lagoon 450, but also smaller, family cats, like Lagoon 39, Lagoon 400 or even Harmony, Lipari, Belize and Nautitech with its famous Nautich 40 and Nautitech 44 models. So there is really big choice. That is why, when you are renting a bateau, you just have to use the search machine, otherwise you will never have the full overview of yachting possibilities. Velmundi.com is integrated with the biggest yacht charter booking systems in Croatia, such as NauSYS or Booking Manager, we integrate them all, compare and present you in the most friendly way we can, because we know that our clients like to search by changing criteria and after many such requests, they will always find a perfect boat for them. Skippers, group of friends, families and sailing schools, they all need full comparison and full overview of the fleet to make the final choice, which will be their home and transport vehicle for the summer holidays. This is why we show you full specification, all photos, mostly original photos of each unit, we show reviews of the previous clients, so that you can really make wise and good decision. Thus your summer holiday will be much much more comfortable, with hundreds of memories, only those good ones, or at least funny ones.